Katherine Hepburn: classic menswear inspired looks and lovely long flowing dresses. Everything looks comfortable and carefree on her. One of my favorite classic movies is Bringing up Baby! Marion Cotillard: modern-day bombshell, love her structured looks, one of my favorite french actresses. Cate Blanchett: classic and artistic. I love her in Elizabeth- I have a serious addiction to anything Elizabethan. I don’t look remotely like her so most of what I love on her wouldn’t necessarily look good on me. 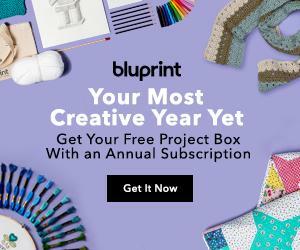 Looking for more inspiration on updating my hand-sewn wardrobe I found this awesome blog, INTO MIND. It has some wonderful tips for finding your personal style, analyzing your lifestyle and revamping your wardrobe. I’m going to focus today on the 1st and 3rd steps on the 10 Steps to Revamp Your Wardrobe! Later this week I’m going to work on Step 2-Wardrobe Detox. I want my style to be simplified and a bit more minimal. I need it to fit my lifestyle as a stay at home beach loving mama! I don’t need any work or formal wear, it just doesn’t get worn. I need my wardrobe to be comfortable daytime wear with simple silhouettes. I want to focus on high quality handmade pieces. 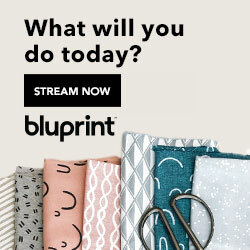 I also want to make the investment to choose organic and fair trade materials in my sewing whenever possible. I also want to make my wardrobe unique and a bit bolder than it is now. I want to express my creative side. I think I lost that for a bit after becoming a new mom. My wardrobe used to be much more exciting and vibrant with lots of vintage and artistic pieces. After kids my body shape changed quite a bit, from pregnancy and full term breastfeeding, and I’m just now, 5 years later, starting to feel more like myself. I also looked a bit at my Color Palette & Color Analysis. From looking at the colors I think I’m a warm Spring and Autumn. My skin is pale but I get quite dark in the summer since I have olive undertones in my skin, my hair is naturally a medium to dark brown( though I often dye it red shades) and I have pale blue, grey eyes. So my colors by season are corals, blush, aquas and teals, orangey reds, olive-green, plums and mauves, and navy blue. What’s interesting is after I made up my mood board I realized these were the exact colors of both my home, which is decorated in teals, navy and tan with light yellow accents, and my early paintings which use a lot of blue, green and orange tones. Check out my Core Style and Wardrobe Revamp Mood Boards on pinterest! I’m going to print out both of my mood boards and keep them by my sewing station so I can make sure what I’m sewing fits into what I want to wear and coordinates with the rest of my wardrobe! Looking forward to next week’s challenge #wardrobearchitect ! Previous Post Indigo Dyeing- My results! What a terrific idea Sarai had to keep us all in focus :0) m.
I love this series! It’s made me so much more thoughtful about how and what I sew! 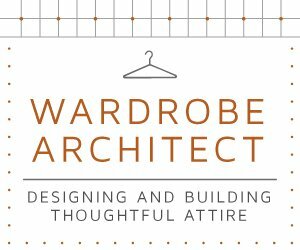 I am going back throught the Wardrobe Architect series right now and found your blog through your comment on one post. Your mood board on pinterest really appeals to me, love the colors and the tops you chose there. Now I need to check out your makes to see if I can steal some ideas from you!